Recycle at Center Street – is this houston? Kudos to the City of Houston for cleaning up the Center St. Recycling facility and servicing it more often from the dump it was last year. Plenty of 30 cubic yard containers for cardboard, paper, plastic, glass(amber, green and clear), aluminum/tin cans. 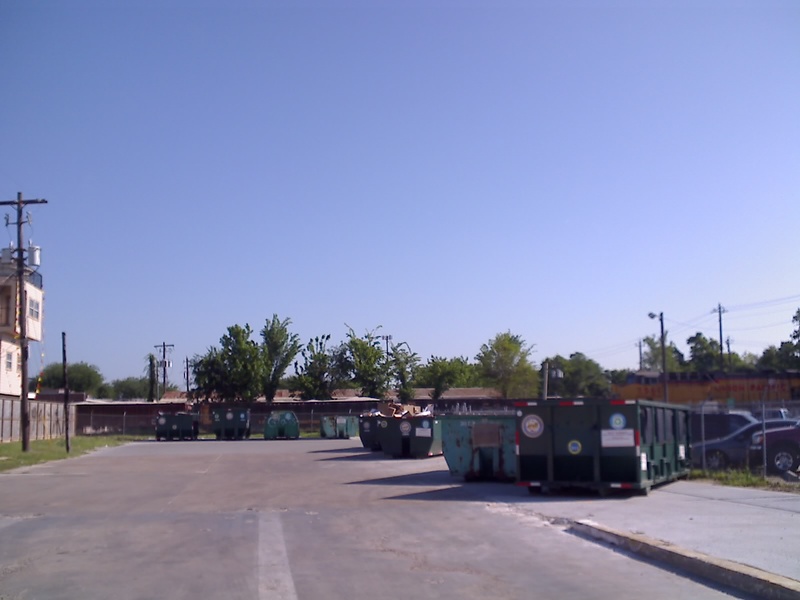 The containers are arranged in a nice drive-thru and drop-off layout. Enter off of Center St.
We’re still waiting to see the larger and more prominent signage on Washington and Heights that direct people over to it more clearly.